Bakers + Baristas was founded in 1981 in Queensland, Australia. Since day one, the first thing we do when we open the café in the morning is turn on the oven and open a fresh pack of coffee beans. Once the first batch of fresh muffins and pastries are out of the oven and you can smell the freshly ground beans, we’re ready to open the doors. 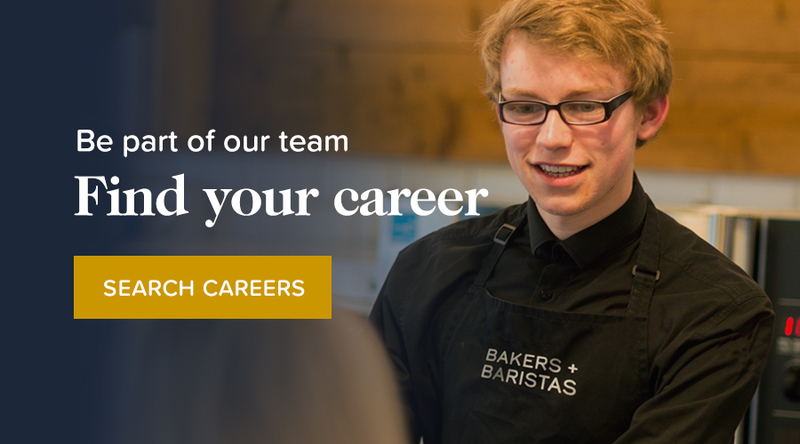 Our passion and expertise (and probably those lovely aromas wafting out of the door) have meant we’ve now grown to 61 Bakers + Baristas cafes across the UK and Ireland, with more planned for the future. We’ve also amassed a well-thumbed recipe book of over 400 cakes and muffins, with and ever-changing seasonal offer in all of our cafes. Do pop by and see what delicious and tempting treat has just emerged from the oven this morning!